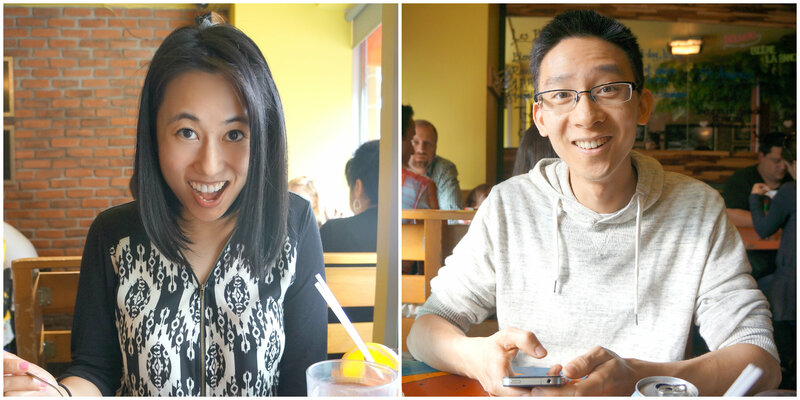 ← We are having a baby! 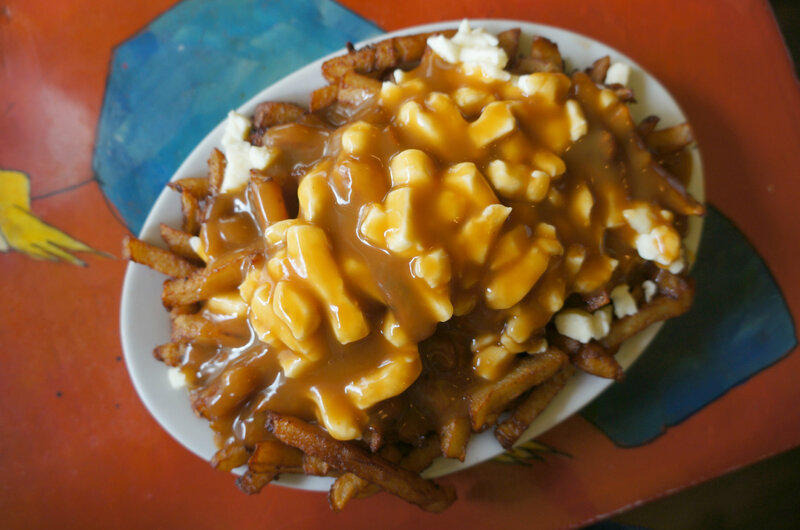 Poutine has this special little spot in my heart. There are only good memories that came served fries, cheese curds and gravy. Friendship Poutine One of my best friends, Pia, loves poutine as much as me. When we have a serious catch up, I’d message her on the way to her place and ask, “what do you want?” She almost always says poutine, and I’m glad. So, I call it friendship poutine. Ottawa When Cy lived in Vancouver and I lived in Toronto, he had a work trip in Kingston. It was perfect meeting place to start a mini trip to Ottawa together. It was in the middle of the winter, and all I remember was the bumpy Rideau Canal skate, hundreds of layers, and Smoke’s Poutinerie shared as a snack and breather from the cold. Giant Poutine I dare you to find someone who loves poutine more than my friend Say who layers it with a pack of bacon in giant aluminum pans. A new memory was made recently at La Banquise. Cy and I drove almost 6 hours to Montreal for a mini getaway and to eat some poutine. No kidding, we checked into our Buddhist Temple (thanks Air BnB), and walked over to the “best poutine place in Montreal” in the Plateau Mont-Royal neighbourhood. We go there, and no line ups! It was late afternoon, way after lunch and a bit before dinner so go then. We were seated right away, and we had choices to make with the menu of over 28 poutine kinds. Forget it, I went with the traditional poutine, La Classique. That will give you the real benchmark of a good poutine. This was all mine, a regular-sized portion of fries, cheese curds and gravy. There was a generous amount of squeeky cheese curds and an even amount of not-too-salty gravy all over the fries. Together, it was good but not the best poutine because of the foundation ingredient aka fries could have been more crisp and less burnt. Plus, some of the cheese curds could have been layered into the fries so that they melted a bit. Cy got something different, and he ordered Le Elvis. Look at that, it’s a bit of a heart attack with the ground meat, green peppers and mushrooms. 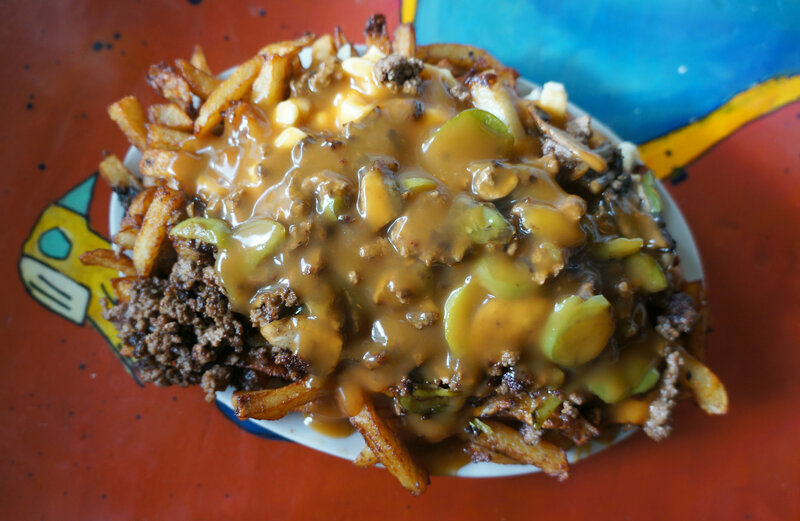 It’s a hamburger poutine (that’s what Cy said)! The toppings really made the poutine taste far different than mine, and a bit sweet. Look at our excited faces. There is no after shot, but we really did finish our poutines and washed it down with some San Pellegrino. And, it just cost us over $20. Not bad for a good poutine, and another good poutine memory for the brain bank. My favourite poutine in Montreal is definitely from a little hole in the wall called, “Décarie Hot Dog,” a staple for Vanier students. It’s a classic poutine where everything,especially the gravy, is just extra delicious. Definitely my comfort poutine from when I lived in Montreal. Also, if youre a poutine fiend, you’ll be super excited that Montreal’s famous Poutineville is coming to the Annex in Toronto!! Famous for their giant (like size of an extra large pizza) poutine! whatever it takes to get some good poutine!! thanks for the comment. btw, your blog is cute…so many cats, how to resist spending all day staring at them? !